Love handles or muffin top, whatever you call the fat on your stomach and hips, makes you nervous for sure. It doesn’t look pretty and which is more important – it isn’t good for your health. 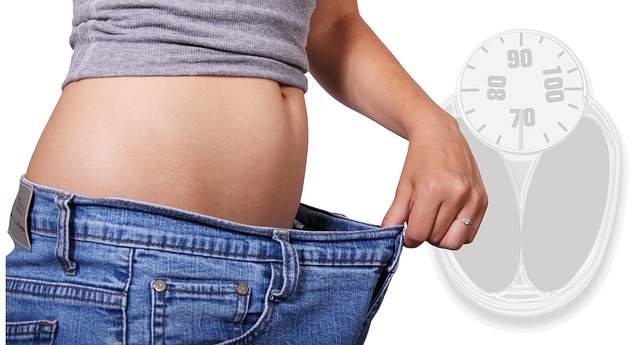 So, it isn’t a surprise that numerous people are searching for ways how to lose belly fat overnight. Fat on your hips becomes a bigger issue as you age, and it’s a real problem when you reach 40. But, it can cause health and aesthetic problems when you are younger, too. Hypertension, obesity, and diabetes are just some of the consequences of fat layers on your stomach and hips. So, let’s see how to overcome this common problem. What causes fat on your stomach? You drink sodas (soft drinks) every day – If you drink one or two glasses of soda a day you are five times more likely to get fat layers on your belly than someone who doesn’t drink soft drinks. The amount of sugar in sodas is enormous and it makes you crave for food, even when you aren’t that hungry. You eat late at night – If you go to bed with a full stomach your body will not be able to burn fat while you are asleep. Also, eating just before going to bed can cause digestion problems. You should eat at least 3 hours before sleeping. If you are really hungry eat an apple. You eat when you are stressed – Many stressed people eat uncontrollably. When you have emotional problems, for example, you seek comfort in sweets because sugar acts like a drug to your brain. 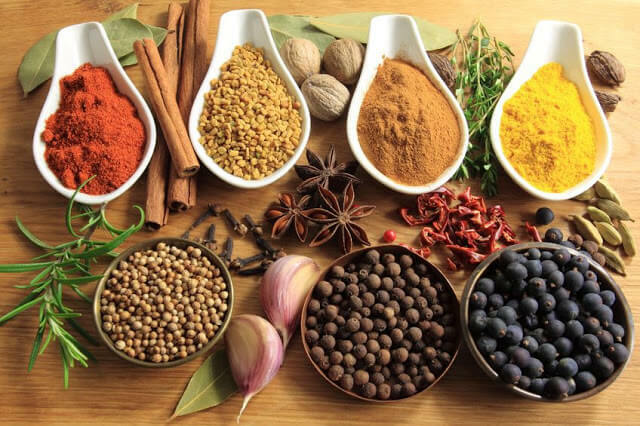 Hence, your increased need for food is caused by the fact that we are surrounded by exotic food which is spicy and it leads to increased stomach acid secretion – and that is a trap. Don’t eat when you are nervous. Drink 2 glasses of water instead. 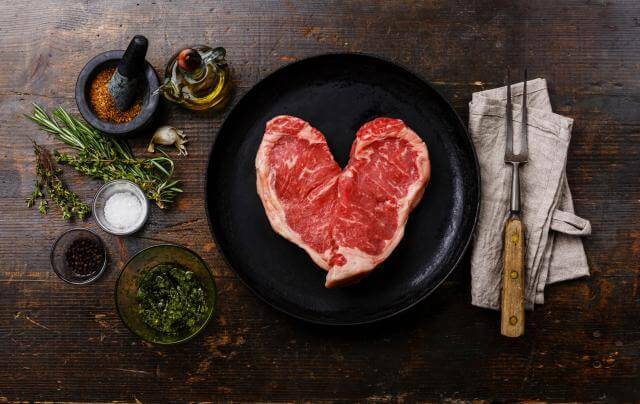 You have a lack of proteins in your diet – Women should intake 20-25 g of protein per meal and men should intake an additional 10 g to stay healthy and slim. If you intake the daily protein requirements you will have a balanced level of sugar in your blood and you will decrease the level of insulin, which will boost your metabolism. Eat turkey and chicken without skin, eggs, and salmon – these are good protein sources. You don’t sleep enough – You should sleep at least 7 hours per day or even better 8 hours. What are the consequences of belly fat? Fat layers on your stomach lead to some serious health consequences, such as cardiovascular disease, diabetes, high blood pressure, high level of cholesterol, obesity. Some foods can increase fat burning. Breakfast example: 100g of oatmeal mixed with 240ml of milk, ½ cup of fresh blueberries and one glass of fresh squeezed orange juice. You aren’t always aware that some food, especially industrially processed food, contains a large number of calories. Processed foods like snacks, sweets and similar contain trans fats which make you get fat. Food products that have a lot of fat, sugar or corn syrup are the most caloric ones. For example, fat meat, meat products, fat cheese, mayonnaise, bakery products, ketchup, all kinds of snacks (sweet, salted), cookies, ice-creams. Tip: Instead, eat at least 5 vegetable and fruit meals per day, foods high in protein such as chicken or turkey, and food high in omega-3 fatty acids like salmon. Also, you can drink green tea which is an appetite suppressant. Tip: Drink 2 glasses of sparkling water before dinner and you will not overeat. 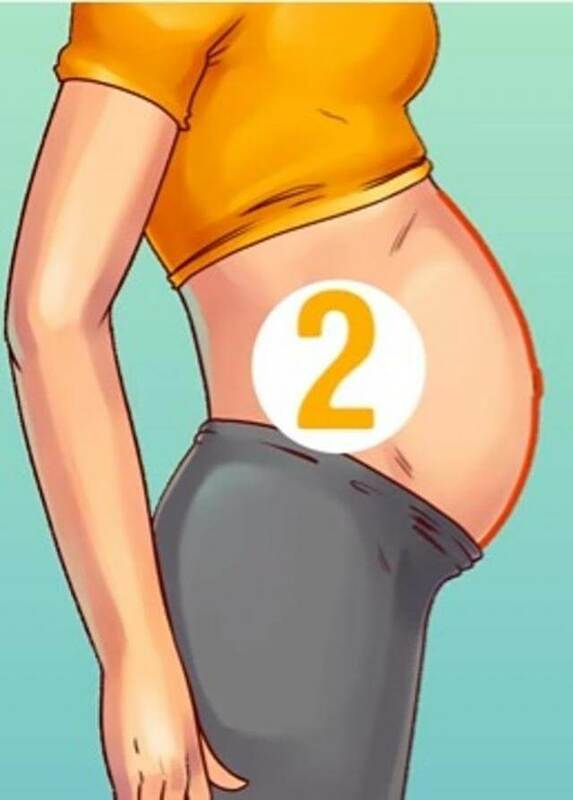 This is one of the most common reasons why you can’t lose belly fat. Irregular sleep is the reason for cortisol secretion which causes more fat layers on your waist and on your face. Tip: To avoid this, you should go to bed at the same time every night. But, it’s very important to do the right exercises. You can reduce your waist size only with high-intensity interval training, which means burning more calories in less time. Furthermore, you have to combine cardio training with weightlifting and plank. Tip: I suggest you try a plank or GRIT cardio. When you have emotional problems, for example, you seek comfort in sweets because sugar acts like a drug to your brain. Stress causes increased cortisol secretion which leads to fat belly layers. 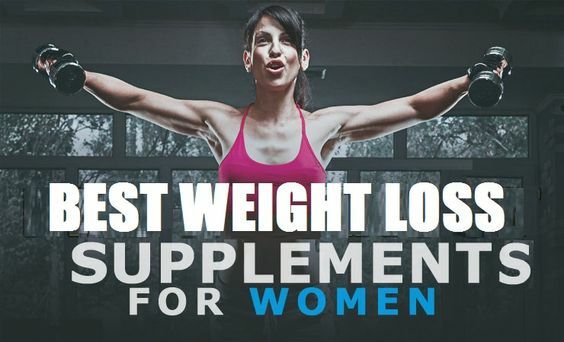 If you’ve already tried different diets, exercising, starving yourself and nothing has helped, maybe it’s time to think about weight loss supplements. Although people may be skeptical, there are pills which are safe, natural, and may really help you lose weight. Try to change your nutrition. There are many different diets for vegetarians and meat eaters, also which can help in your weight loss journey. Here is the list of the best belly fat burning foods. 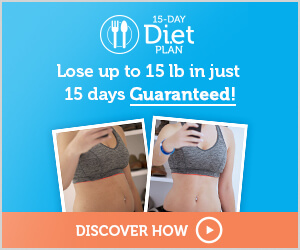 Maybe the first or second diet will not work for you, but the third is going to work, I am sure. Many readers ask us why they have belly fat even though they aren’t fat. Although we immediately think if we have a bigger belly we are getting fatter, that’s not true. Some types of belly appear because of stress, too many sweets, or sitting a lot. Bloated stomach in the evening. In the morning your stomach is flat, but in the evening it gets flatulent. Food allergy, slow metabolism, intestinal imbalance. How to get rid of this belly? Avoid gluten, alcohol, yeast, processed dairy products. Include more fresh vegetables, meat, chicken, and fish in your diet. Don’t skip breakfast. Eat your food slowly, drink plenty of water, and include more probiotics. 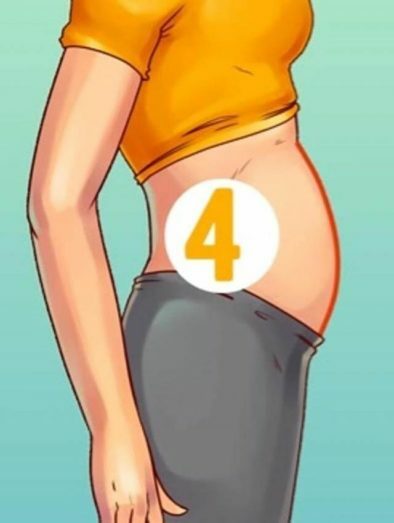 Your belly looks as if you are still pregnant even though you aren’t. Include more fish oil in your diet. Eat nuts, olives, and vegetable oil. That will help you fight fatigue. Recent pregnancy, monotonous exercising, lower back curve. Have a healthy diet and include food with a lot of fibers- green vegetables and whole grain bread. Give up squats and do planks. Drink more water and eat easily digestible food. Bloated, hard stomach around the belly. Go to bed earlier. You are stressed when you don’t get enough sleep and that obstructs the production of leptin, the hormone which regulates appetite and metabolism. Relax before sleeping. Do breathing exercises, take a long bath, or meditate in order to relax. Don’t exaggerate with exercising. Too much cardio may increase the level of cortisol. Do yoga, take a long walk or go to the gym. Include magnesium in your diet. All day sitting, excessive intake of sweets and alcohol. Drink less alcohol. Only a few glasses of wine during the week and you will have long-term benefits. Change your diet. Eat more eggs, meat, vegetables, nuts, fish, and avocado. Try to do exercise, walk, and start using the stairs instead of the elevator. Don’t eat when you feel slightly hungry – Some people always feel hungry and that’s an issue when they want to lose weight. So, if you are hungry all the time, eat an apple for a snack and wait for a while, you’ ll lose your appetite. Food – Eat food high in protein, eat food high in fiber and use healthy oils such as avocado oil or nut oil. You should include these healthy proteins, fibers, and oils in every meal. 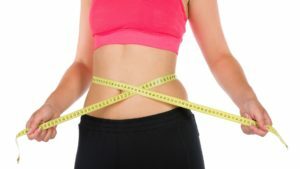 Furthermore, I suggest you try a drink made by a nutritionist who claims that it’s not only effective for getting smaller waist and belly, but you will feel fresh, revitalized, and less bloated, too. Slice the lemon and cucumber and then add water and the other ingredients. Stir and leave it in the fridge overnight. Strain and drink this for 4 days avoiding candies, unhealthy food, and sodas. Don’t forget to exercise. Combining healthy eating with exercise made a significant difference in the reduction of belly fat. 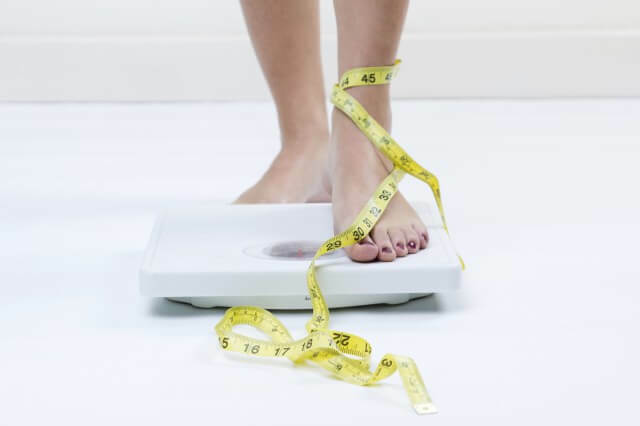 Ultimately, however, the best practice in getting rid of the excess poundage is combining good eating habits, exercise, proper sleep, and stress reduction. Melting away belly fat can help you lead a longer, healthier life. What an absurd statement to make. Some good information here, though. There’s no need to drink 10 glasses of water per day, unless maybe you’re working outside in summer. Also, eat a diet of whole grains; a variety of fruits and berries; vegetables – including leafy greens; some soy-based products like tofu, tempeh and soy milk; beans and legumes; nuts and seeds. Avoid fried foods, oil, meat, dairy, added sugars. 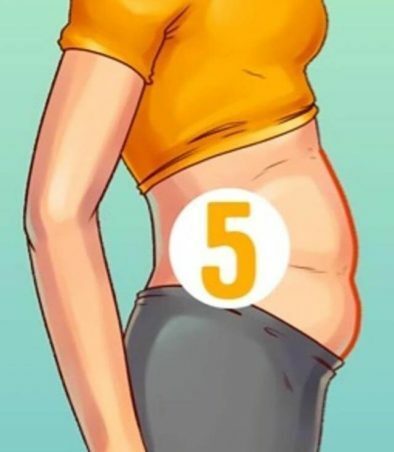 Then you’ll lose belly fat and, more importantly, gain your health. Drinking 10 glasses per day is actually average, nutritionists suggest at least 8 glasses. Sparkling water is a natural appetite suppressant, so drinking sparkling water before dinner means that you will not overeat. They didn’t say you won’t gain weight. They said it will help suppress hunger so you don’t over eat. Very informative post, the way you distinguished between various types of bellies is just amazing. Thanks a lot! Message was very informative. 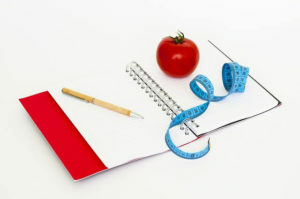 Knowledge is priceless with weight loss and effective management. I also believe that meditation can also increase your body’s chances of losing weight. Stay committed; results will come!